The Cango Caves is only one of the natural wonders of the Klein Karoo & Oudtshoorn. An underground jewel in the heart of the Swartberg Mountain Range. Visitors can choose between the standard tour (60min) or the adventure tour (90min). Open every day except on Christmas day. You will be amazed to know how much more exiting your trip to the Rus & Vrede Waterfall and The Hell(Gamkaskloof) will be, when travelling by quad bike. This is relaxed driving, suitable for all ages. 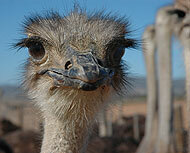 The trip to Rus & Vrede is a one day drip and Gamkaskloof is a overnight trip. Besides the wonderful traditional Xhosa meals Ma Betty also offers fun-filled traditional activities to make your evening complete, including traditional Xhosa dance and music performed by the Xhosa women, traditional Xhosa stories told by the Sangoma (traditional healer) accompanied by Xhosa songs. 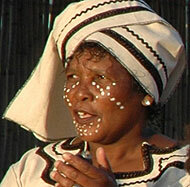 Also enjoy the traditional Xhosa wedding performance. Cultural wedding ceremonies can also be arranged.